Deliveries, services and offers of 3D-Printerstore based exclusively on these Terms and Conditions, even if they are not expressly agreed again. By order of the goods or services, these terms are accepted. General conditions of purchase are hereby rejected. Deviations from these terms and conditions are effective only when we confirm them in writing. 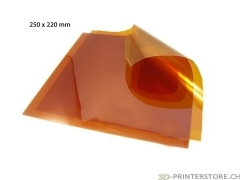 Offers the 3D-Printerstore in price lists and advertisements are non-binding. Orders are for the 3D-Printerstore contractual only after written confirmation. Confirmations will be created only on request. The information in our sales documents (Drawings, illustrations, dimensions, weights and other benefits) are intended as a guide only and do not constitute assured properties, unless they are expressly designated as binding in writing. A buyer exceeds his credit limit by an order, we are of our delivery obligations delivered. Decisive are the prices in our order confirmation. These are fixed for stock at time of order. Supply shortages and errands is the price on day of order. The prices are, unless otherwise agreed, plus transportation costs, including the VAT. Dates and delivery times are not binding unless expressly agreed otherwise in writing. 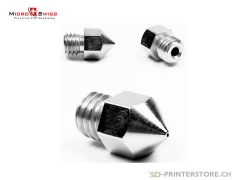 The indication of certain deadlines and delivery by the 3D-Printerstore is subject to the correct and timely delivery of the 3D-Printerstore by Suppliers and manufacturers. If the buyer refuses to expiration of a grace period, the acceptance of the delivery items or declared not to want to accept the goods, can the 3D-Printerstore refuse to fulfill the contract and claim damages for non-performance. 3D-Printerstore has the right to either a lump sum as compensation to demand 25% of the purchase price or replacement of the effective damage by the buyer. Visible differences in quantity must immediately at receipt of goods, quantity differences hidden within 4 days of receipt of the goods 3D-Printerstore and the carrier are notified in writing. Complaints regarding damage, delay, loss or poor packaging are immediately Login receipt of shipment. The risk passes to the buyer once the shipment has been handed over to the person performing the transport. If shipment is not our Fault delayed or becomes impossible, the risk is with the notification of readiness for shipment to the buyer. An agreed upon in individual cases Acquisition of transport costs by 3D-Printerstore has no effect on the transfer of risk. Warranty in accordance with the following provisions shall be 2 years for private endusers & 6 months for commercial consumers (companies), unless expressly agreed otherwise in writing. For certain products , a manufacturer warranty of 12 months is exressply refered to. The warranty period starts from the delivery date. If operating or maintenance instructions are not followed, changes, parts exchanged or consumables used which do not meet the original specifications, any warranty as to the extent of Deficiency is due to this. This also applies if the defect is improper use, storage and handling of equipment, or external intervention and the opening of equipment is due. Insignificant deviations of warranted characteristics of the goods not trigger any warranty rights. Liability for normal wear and tear (cog's & belts, etc. ), as well as consumables (extruder, glue, filaments) / accessories / enclosed batteries / rechargeable batteries are excluded. Warranty claims against 3D-Printerstore only through the direct buyer and are not transferable. A right to repair is granted, but not any refunds or discounts. In case of a repair, the overall product warranty time will not be extended. "Bring-in" means that the customer brings or sends the defect product to us at his cost, we repair it and return it at our cost. For returns we require that the defective part or product with a completed repair form and a copy of the invoice to which the equipment has been delivered, is sent or delivered to the 3D-Printerstore for repair. A return of products by the customer without the prior consent of 3D-Printerstore and is at the expense and risk of the customer. The return of the Products shall be made in original packaging and enclosing a detailed Fehler-/Mängelbeschreibung and a return number. The products we purchase on customer request and open software are excluded from the return. Through the replacement of parts, assemblies or complete equipment shall any new warranty periods in force. The warranty is limited solely to the repair or replacement of the damaged delivery items. The buyer has to pay when sending the equipment for repair ensure that data contained on these, are backed by copies, as these may be lost during repair procedures. Delivered goods until full payment of the 3D-Printerstore. The bills are as per agreement by cash on delivery, cash or payable net within 10 days, unless otherwise agreed. Delivery is basically not free, i.e. charged to the buyer by parcel post, carrier or private vehicle, unless expressly agreed otherwise. A payment shall be considered made when we can dispose of the full amount. Cheques are only accepted and considered until after their Cashed. If the buyer is in default, we are entitled to charge from the relevant date interest at the rate of 5%. During Duration of the delay is the 3D-Printerstore also entitled at any time to cancel the contract, return of the goods and damages to to demand the passing cancellation of the contract. All receivables are due immediately if the Customer is in default with other essential obligations negligently fails to comply with under the contract or if we become aware of circumstances which are likely to reduce the creditworthiness of the customer, especially in Payment, pending settlement or bankruptcy proceedings. In these cases, we may still retain outstanding deliveries perform or only against advance payment or collateral. Damage claims from impossibility of performance, breach of contract, negligence of contract or tort, are both ruled against us, and against our vicarious agents, unless there is intent or gross negligence. No liability is accepted for any consequential damages arising from the use of the products. If software is included, this will be left to the buyer for the unique resale or for personal use, ie this he must neither copy nor leave others to use. Software is excluded from all warranty provisions on forms. Apply exclusively the provisions of the manufacturer's license agreement. 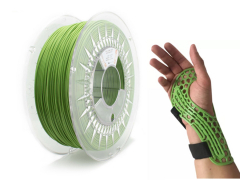 3D-Printerstore is entitled to the respect of whether business connections or in connection with the data obtained on the purchaser, this from the buyer or from third parties to process according to the Federal Data Protection Act (DPA). Be personal customer data treated as confidential and disclosed to third parties only in the context of the credit check. Weinfelden is exclusively jurisdiction for all disputes arising from the contractual relationship, directly or indirectly arising disputes. The legal relationship subject to Swiss law. Translation errors can happen, therefore the Conditions of Use in German are decisive to us!